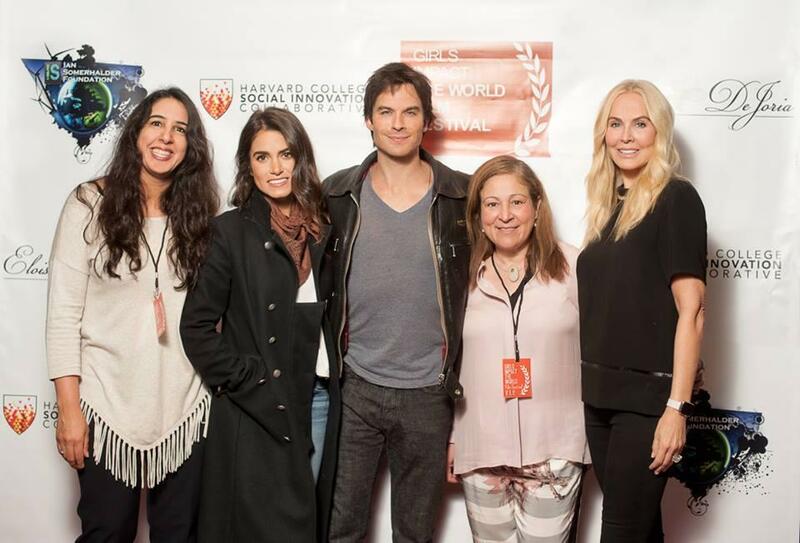 From left: Connecther founder Lila Igram with judges Nikki Reed, Ian Somerhalder, producer Elizabeth Avellan, and judge and presenting sponsor Eloise DeJoria. The Girls Impact the World Film Festival, run by Connecther, gives high school students and undergrads the chance to earn scholarships by making short films about issues that face women. It brought about 220 people to the Carpenter Center for Visual Arts, and was cosponsored by Harvard College Social Innovation Collaborative. Actress/philanthropist Eloise DeJoria was the presenting sponsor.